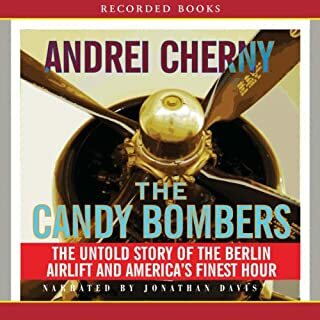 Acclaimed author Andrei Cherny tells the gripping saga of a rag-tag band of Americans - with limited resources and little hope for success - keeping West Berliners alive in the face of Soviet tyranny, winning the hearts and minds of former enemies, and giving the world a shining example of fundamental goodness. Some people would give it four instead of five stars. This might be due to the detailed descriptions of the behind-the-scenes maneuvering. 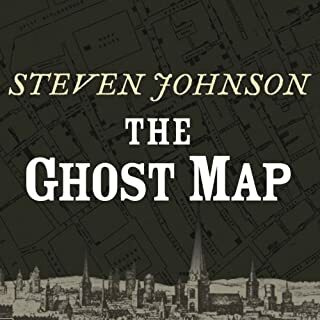 However, for me, it is a wonderful, get-out-yer-hankies (in spots), well-read book. 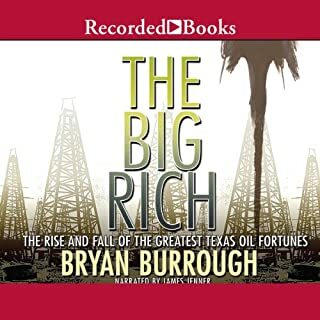 After I had a run of middlin' books from Audible, this is a grand slam home run!! Uranium is a common element in the earth's crust and the only naturally occurring mineral with the power to end all life on the planet. 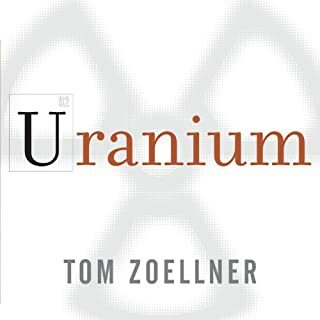 After World War II, it reshaped the global order---whoever could master uranium could master the world. Marie Curie gave us hope that uranium would be a miracle panacea, but the Manhattan Project gave us reason to believe that civilization would end with apocalypse. Great research makes this book hum! While some people might think the details are too much, I found it make the history that much better. You feel like you are there! I had heard of many of the people and happenings that were covered in this book. However, I didn't know the details and how the people fitted together. 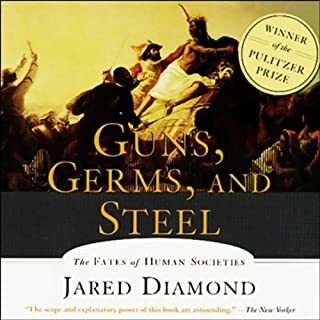 This book put things in perspective and made a fascinating overview. Highly recommended!! The book is very interesting. It adds a new dimension to history, making it very personal and believable. As for the narration, the reader is frequently so mechanical that it sounds like it could be computer speech. Very disappointing. 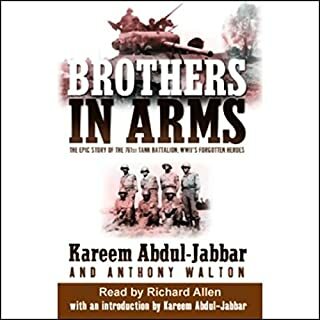 Even though I have read a number of books on World War II, I thought this really added a lot to the story of tank soldiers and black soldiers. As for the narration, it was distracting and painful to hear so many mispronounced words and not obscure city names, but common words and frequently used historical words: straff for straf, personal mines for personnel mines, Ver-DUNE for Ver-done (Verdun), ambu-LANCE for ambulance, Ar-DEAN for Ar-den (Ardennes), Ba-vah-ria instead Ba-VARE-ia. This guy is one of those who decide on a position and then cherry-pick, twist, turn, torture and chew the carpet with facts until it supports his position. 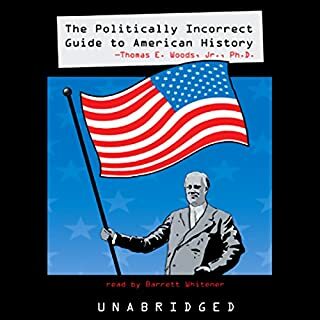 I constantly read and listen to history books so I recognize the truth in much of what he says, but there is an underlying theme just below the surface that there is an evil, liberal elite working behind the scenes throughout the years to oppress the humble, righteous, Christian white Southerner. Being a white sixth generation Presbyterian Southerner with numerous ancestors in the civil war and a lifelong Republican until the present administration, I was embarassed by the extreme slant toward his point of view and away from anything that didn't fit his history. Embarassing waste of time! Lots of much better history out there. He talks about books *they* don't want you to read, HERE's one I wish I hadn't. The review mentioning New Guinea is wrong. "Then he proceeds by asserting that the inhabitants of Papua New Guinea are genetically superior to whites. This self-contradiction is not rendered any less stupid by the fact that it's done without reference to any evidence beyond the mere hunch of the author." This reviewer says it is the "mere hunch" of the author. I disagree strongly. 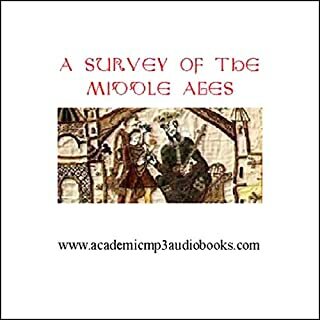 The author states it as a theory and gives several good reasons from his years of study. He does NOT say that they are inherently better than whites, but they are genetically superior because they have be more self-sufficient and the ones who are not self-sufficient die off much more quickly. If I had lived at another time, I may have been an invalid or died at an early age due to an accident with my poor eyesight and allergies. In this age, I am probably healthier than most. Not my favorite book, but certainly not bad. c. 500 - c. 1270 A.D. 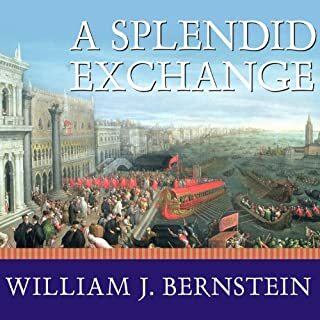 In this audiobook, John Pruskin takes us from the fall of the Roman Empire to the cusp of the Italian Renaissance. You have a ringside seat as the remnants of the Roman Empire emerge from the tangled chaos of the barbarian conquests. Unbelievably Bad! Beyond Your Wildest Dreams! The guy reads a sentence as if it was a lead in to a news story. And then the next one and the next one and the next one. It is as if he doesn't even understand what he is reading, but is simply reading the words in the same sing song voice over and over. And then, at the start of each new topic - about two minutes - they have this foghorn type sound for some ungodly reason. I wouldn't listen to this book for an hour if you gave me a years worth of Audible books much less the entire 10 or 11 hours of the book. Yeech. I feel like I need to hose out my ears after just 10 minutes.